Former model home situated along a quiet conservation area in desirable guard-gated Lake Forest. The open floor plan is great for families and entertainers alike with its spacious kitchen featuring a high-end INDUCTION cooktop range and warm natural granite counter-tops. The kitchen dinette is large enough for a dining room table and multiple windows and French doors draw all eyes to the over-sized lanai and large sparkling blue pool. The master suite is enormous and includes a separate sitting area with private pool access. Enjoy a luxuriously appointed master bath with garden tub dual sinks and a large shower with frameless glass enclosure. In the family room a wood burning fireplace is found wrapped in custom wood cabinetry from floor to ceiling. The office is generously sized and bedrooms two and three are also found on the first floor. The second-floor bonus room is complimented by a full bath with a private bedroom found at the end of the hall perfect for guests desiring a little privacy. The lanai is amazingâ¦simply huge with lots of room for family and friends. The yard is fully fenced and the ambiance of the conservation area next door is irreplaceable. 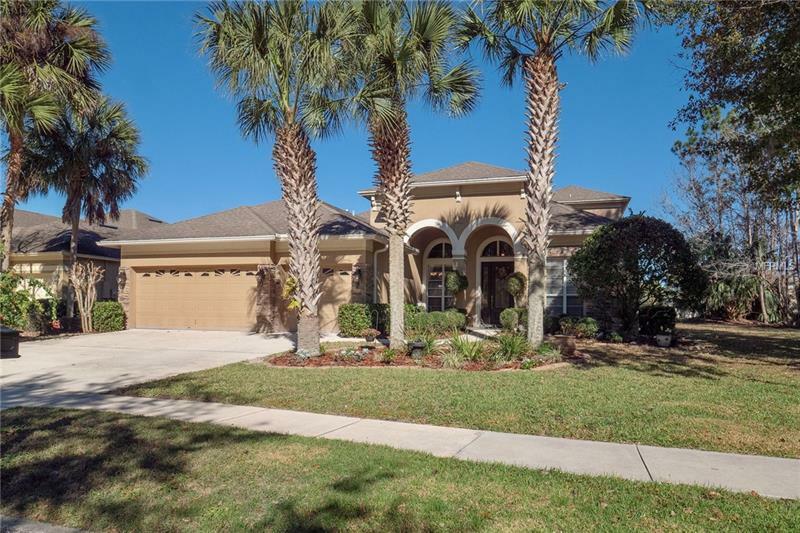 This is a one-of-a-kind home at this price in one of Seminole Countyâs finest communities. Residents enjoy a Lakefront 10000 SQFT clubhouse featuring an Olympic size swimming pool fitness center beach tennis courts park and play ground. All amenities are included in this fine community. Make your appointment today. Additional Water Information: Lake Forest 55+ acre lake with fishing pier and beach. Property abuts retention to the side.